A Blood Destiny about to rock their worlds! 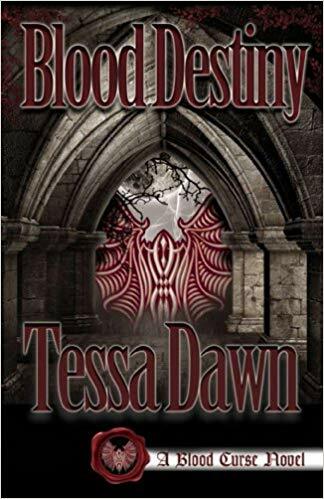 Descended from the progeny of Celestial Gods and humans, Nathaniel Silivasi is handsome, seductive, and powerful beyond measure: a lethal vampire. Belonging to an ancient civilization that sacrificed its females to the verge of extinction, he is also cursed. Like all the sons of Jadon, he is incapable of producing female offspring and required to sacrifice a first-born son as atonement for the sins of his forefathers. While he belongs to a modern civilization, he is bound by primeval law. When Jocelyn Levi stumbles upon Nathaniel’s pristine mountain valley, she is not prepared for the collision of worlds she is about to encounter. As an agent of the homeland security department, ICE, the beautiful, defiant female has an agenda of her own: to stop the ritualistic slaughter of innocent young women by a human trafficking ring. Little does she know, the evil she seeks is unlike anything she has ever witnessed. She has entered a world of warriors, code, and mystery, where the predators are divided only by degrees of light and shadow, and the dark handsome stranger who has come to her aid is the most dangerous of all. What would you do if the moon turned red, and your life was no longer your own?